Whether you’re mixing a margarita or shaking up a signature whiskey sour, we’ve got you covered when it comes to world-renowned brands. From high street restaurants to high-end cocktail bars, these iconic products are a mainstay on every menu and back bar. For anyone working in the bar industry, an in-depth knowledge of the brands your venue offers is key when it comes to delivering high-quality service. Uncover the incredible stories behind the labels; their history and heritage, as well as the inspirational people involved in bringing our brands to life. From the clear, clean taste of triple-distilled vodka to the exotic tang of spiced rum and everything in between, learn more about the unique characteristics of these liquids and find out the best way to recommend and create drinks that will keep your customers coming back, time and time again. Smirnoff No. 21 Vodka is the number one best-selling premium vodka brand in the world, distributed in over 130 countries. This Dutch vodka takes its name from the coal-fired pot still in use today, creating a pure but deliciously complex premium spirit. An ultra-premium vodka crafted from fine, succulent French grapes distilled at the Distillerie de Chevanceaux in southwest France. Tanqueray is a classic. A smooth, delicious premium London dry gin with an array of botanicals and a grapefruit peel edge. Produced in Venezuela: Pampero rum is intense, sweet and spicy, with a delicious, long, lingering finish. Buchanan's blended Scotch whisky is an excellent example of quality. The brand stands for prestige and tradition and is well known within the Latin community. 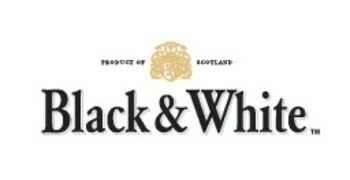 A very accessible blended Scotch Whisky, Black & White is light, fresh and spicy with a hint of smoke. Dimple blended Scotch whisky consists of over thirty malt and grain whiskies, and is produced by Haig, Scotland's oldest surviving Scotch Whisky distiller. J&B brings together a blend of 42 single malt and grain whiskies for a smooth, delicious Scotch whisky that's ideal for mixing. The world’s most iconic and best-selling blended Scotch whisky, from the vibrant Red Label to the super-premium Blue Label - and beyond. A blended Scotch whisky launched in 1909, named after the reputed oldest man in England. Vat 69 is a Blended Scotch Whisky with a light, very fresh and slightly spicy taste profile. White Horse is a blended Scotch Whisky with a full-bodied, peaty flavour and a warm after-taste. Windsor is a blended Scotch whisky of exceptional quality, containing an exclusive selection of fine grain whiskies and precious malt whiskies. An unmissable Speyside Single Malt Whisky. Sweet and smooth with a warmth and cleanliness of taste. This Single Malt whisky is a subtle take on western island smokiness down to its maritime location on the island of Islay. A single malt constantly praised for its unique combination of North Highland and maritime qualities. Established in 1869, Cragganmore is a Speyside Single Malt Whisky with a rich fruity taste. A Lowland Single Malt Whisky, Glenkinchie is one of the handful of distilleries still operating in the region known as the 'garden of Scotland'. As an Highland malt, Dalwhinnie is a subtle, floral and elegant Single Malt Whisky with a slight hint of peatiness. Scotland's hidden gem, Haig Club is a Single Grain Scotch Whisky, made only at Cameronbridge Distillery - the oldest grain distillery in Scotland. With a scent of massive peat smoke, a subtle hint of seaweed and a deep, intense sweetness, Lagavulin is a classic Islay Single Malt Whisky. Born of innovation, rich in character and tradition. Beloved of connoisseurs, from a Speyside few know. Re-born as a family of four fine, rare Single malt whiskies. Oban, made on the western coastline of the Highlands, is a Scottish Single Malt Whisky with a distinct maritime notes that echoes its western island neighbours. The Singleton of Glen Ord, Dufftown and Glendullan are all Single Malt whiskies from The Singleton distillery in Speyside. Approachable, naturally rich,and with rounded flavour, they are ideal for those new to whisky. Powerful and spicy, with a peppery finish and a touch of island smoke, the award-winning Single Malt Whisky is the only one on the Isle of Skye. George Dickel Tennessee Whiskey is produced in Cascade Hollow using Cascade Springs' fresh water and some special and unique techniques resulting in a handcrafted, premium drop. Using the finest agave and a time-honoured distillation, Don Julio tequila sets itself apart with its attention to quality, craftsmanship and tradition. The standard for contemporary schnapps on every back bar and in every drinks cabinet. The world's best-loved liqueur, blending whiskey and smooth Irish cream. The Irish black stuff is probably the world's most famous stout. The number one Irish ale, brewed since 1710.